When individuals store their belongings in a self storage unit, they are expected to make monthly payments. If they get behind in their payments beyond a certain time (usually 90 days), the storage unit company will give them a chance to either pay up, or forfeit the contents of their storage unit. 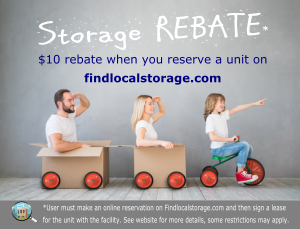 If the renter defaults, then the storage unit facility will have the legal right to sell the contents of the storage unit to recoup the back rental payments that the renter was unable to pay. Storage unit facilities conduct their storage auctions in different ways. The most popular auction among buyers is the live auction. The way this auction works is to open up the storage unit, and allow the public and potential bidders to view the contents. After everyone has had a chance to look over the unit, the auction will begin. The auctioneer will begin taking live, verbal bids from the participants. This is the very same type of auction seen on the Storage Wars & Auction Hunters television shows. The person who bids the highest will win the contents of the storage unit. Depending on the storage unit company, most companies want their payment immediately, in cash, after the auction, and they usually give people 48 hours to clear out the contents of the unit. There is another type of auction called the "Blind Auction". This type of auction is risky (and not recommended), as bidders are not allowed to view the contents of the storage unit in advance of bidding. 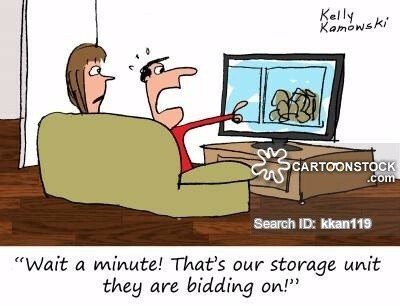 The only person who eventually sees the contents is the winner of the auction, so people bidding on storage units in blind auctions have no clue as to what they are actually bidding on, the unit may be EMPTY! The method of bidding on these types of auctions are either made by sealed bids in advance, with the highest bid winning, or there can be a live auction held in front of the unit itself. There is a third method of bidding, and this is called the "Sealed Bid". This is a not a very popular method used by storage unit facilities. The way the sealed bid auction works is, the storage unit manager will open up the unit for potential bidders to view the contents. After everyone has had a chance to look the unit over, the manager will accept bids from people in a sealed envelope. After all of the bids have been opened, usually right there on the spot, the person who has bid the highest will win the contents of the unit. The problem with this type of auction, is that other bidders have no idea what the bids are and this type of auction is VERY impersonal. Like the other two auction methods listed above, the winner usually has to pay immediately. It's important to know what style of auction you are bidding on before you go. You can find this out in advance by calling the storage unit facility. This way you will be fully prepared for the auction and not be surprised when you arrive to bid. So, hopefully this information has been helpful in helping you understand the different types of storage unit auctions. 70-6-420. Default in payment of storage space rental fees -- notice -- sale of contents. (1) A person who rents storage space to another may sell at public auction the contents of the storage space if the owner of the contents is more than 30 days in default in paying rental fees on the space. (2) At the expiration of the period of default provided for in subsection (1), the person renting the storage space shall send written notice by certified mail to the last-known address of the owner of the contents that he has 30 days from the date of the certified letter to pay the past due rental fees and to claim the contents of the storage space or the contents will be sold at public auction. The notice must contain the date, time, and place of the auction if the past due rental fees are not paid. If the certified notice is returned undelivered, notice must be given as provided in Rule 4 of the Montana Rules of Civil Procedure. (3) Prior to an auction provided for in subsection (1), notice of the date, time, place, terms, and description of the property must be published in a newspaper in the county in which the property to be sold is located. The notice must be published once a week for 2 weeks prior to the day of the sale. If there is no newspaper published in the county in which the property to be sold is located, then the notice may be published in a newspaper of general circulation in the county. 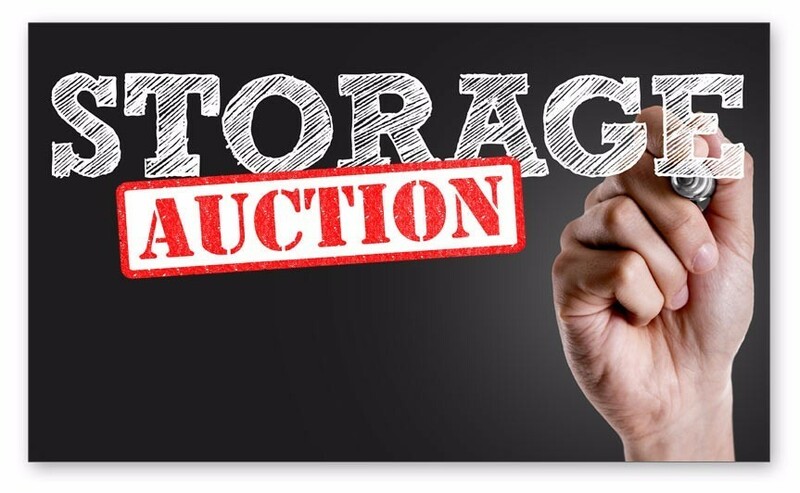 (4) (a) Proceeds of the auction must first be applied to the costs of the sale, then to the unpaid storage rental fees, and the excess, if any, must be paid to the owner. If the owner or the person entitled to the proceeds cannot be located, the proceeds escheat to the state as provided in Title 72, chapter 14. (b) All sales under this section vest title to the property sold in the purchaser of the property. *​​Storage facilities warrant and represent that they have the right to sell items in storage units according to Montana Code Annotated 70-6-420. 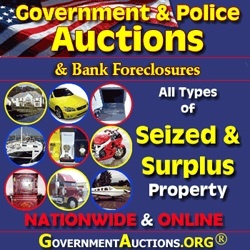 Said goods can be auctioned without any violation of any federal, state, or other regulations. Facility agrees that MT Storage Auctions is held harmless against any claims of the nature regarding any auctions. 1. Plan one day ahead. All auctions are subject to cancellation in the event of settlement between the landlord and obligated parties! Many delinquent tenants will wait to the very last moment to satisfy their obligation. When you phone the site to confirm that the auction is still going as scheduled, inquire about how many potential lots or units might be going up for auction, don't forget that it is still subject to change! 2. 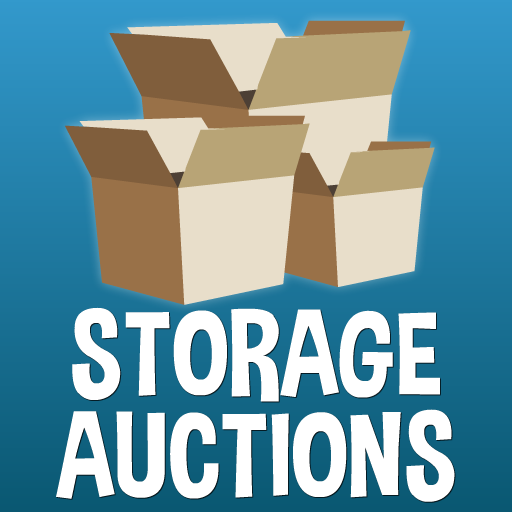 Consistency - If you are planning to earn good money with the storage auction game, you need to be consistent! 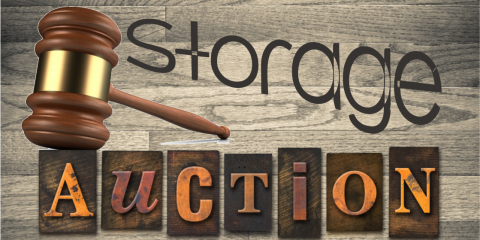 The more storage auctions you attend, the better your percentages get with purchasing units. 3. Tools - There are no required tools except if you purchase a unit, most sites require the high bidder to use their own padlock to secure the unit they purchased. Your second best investment would be a strong flashlight. Viewing the units or lots from the entrance area is almost impossible to do without good strong flashlight. 4. Solve the Puzzles - The way a lot or a unit looks can clue you into potential value. Add up the total scenario; Is there name brand merchandise? Are the boxes sealed and taped? Are the boxes sealed and re-taped? Do the boxes appear to be purchased for storage or does it look like they came from the back of your local grocery store? Are the boxes carefully marked with content information? Do the boxes have a moving company's name on them (professional movers can be expensive)? Are there any addresses visible on any of the boxes or suitcases that appear through out the unit (An Address from a wealthy area would be interesting)? How is the condition and quality of the furnishings? Does the furniture appear to be a complete household? Can you see any ornate or antique looking furniture table legs? Is there a lot of dust settled high on the contents of the unit, this could mean someone has paid rent on the storage space for a several years. Have a patent number chart to check ages if patent numbers are visible. Add up in your mind the total dollar amount that you can see. Think like an investigator! 5. Marketing and Sales - When you start purchasing units it is a good idea to have a solid marketing plan. We honestly believe that e-Bay is one the best ways of selling your higher valued merchandise providing that it is cost effective for shipping. Small classified newspaper ads and craigslist will be your best source for larger items such as couches, entertainment centers, refrigerators, washer and dryers and household electronics. Consider starting a rental business with the used appliances that you find. If you DO NOT like to hold garage sales or sell at flea markets, sale off the "flea market" property in bulk. If you spend some time at the flea markets you can build a vendor list of potential re-sellers. Knowing how to price used merchandise, antiques or collectibles is very important. Analyze the inventory thoroughly when you purchase a unit, it is easy to sell a used vase for $5.00 that is worth $500.00. Web-site auctions like e-Bay often have current auction prices on items that are exact or similar, these prices really do establish a current market value and should help you establish a solid asking price for your merchandise. Pre-Register for our next Auction on the "Contact" page!